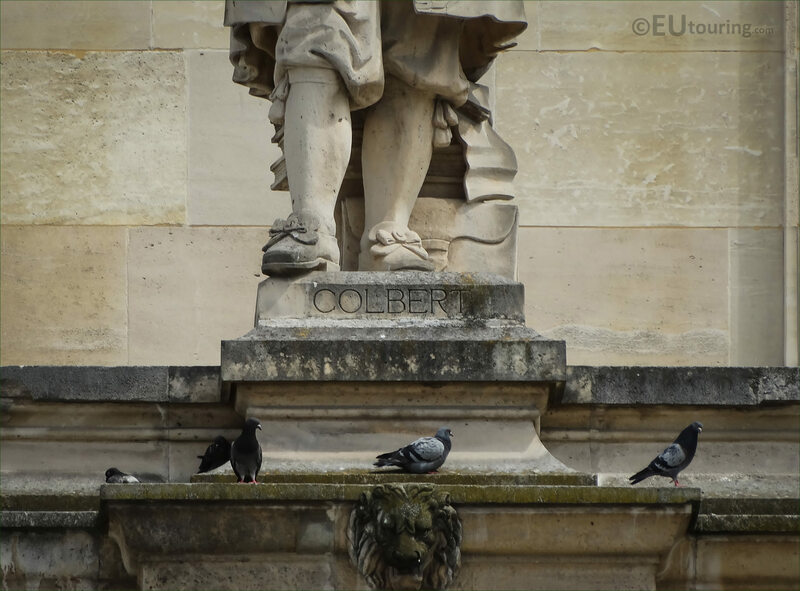 We were within the Cour Napoleon courtyard of The Louvre Museum when we took these high definition photos showing a statue of Colbert, which is located on the Aile Turgot wing in the 1st Arrondissement of Paris. 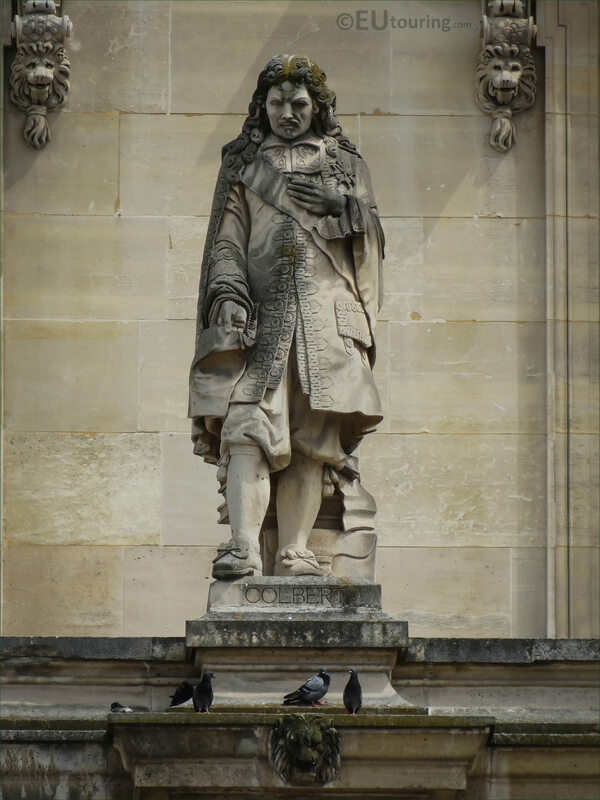 This first HD photo shows the statue of Jean-Baptiste Colbert, and this is located on the first level balustrade of the Aile Turgot wing of the Musee du Louvre, and when looking at the facade from the courtyard, this is located virtually in the middle, or being precise, the fifth statue from the left. 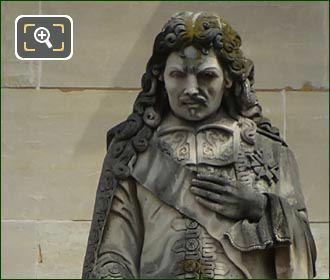 Now we do known that this statue was produced by a French sculptor called Gayrard, however, some sources state that it was Raymond Gayrard who was the father of Paul Joseph Raymond Gayrard, and others state it was the son, so unfortunately we have been unable to determine which is correct, especially considering that both of these artists passed away in the 1850s. 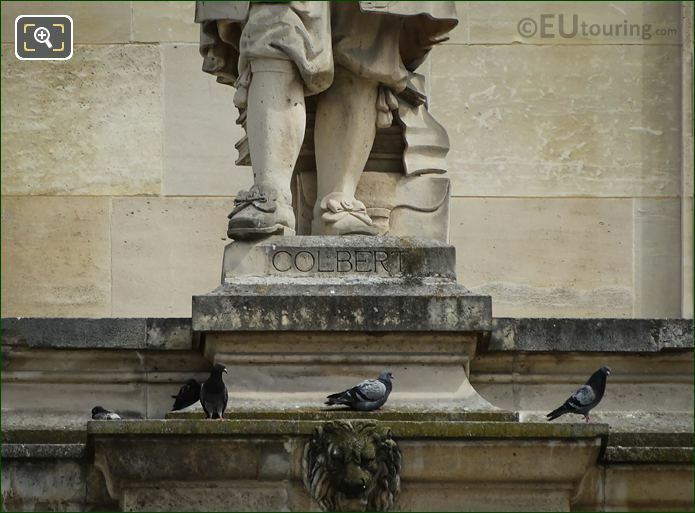 But as you can see from this last image showing the name inscription, the statue is dedicated to Jean-Baptiste Colbert who was born in August 1619 and became a French politician, serving under King Louis XIV as the Minister of Finances of France from 1665 to 1683. 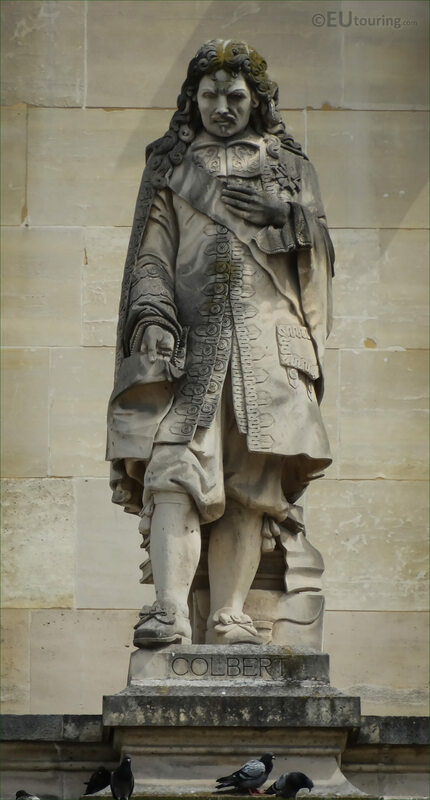 And working exceedingly hard, Colbert achieved a reputation for his work of improving the state of French manufacturing and bringing the economy back from the brink of bankruptcy, plus he founded the Gobelins tapestry works, but having become bedridden through stomach pain, he passed away in Paris in September 1683.